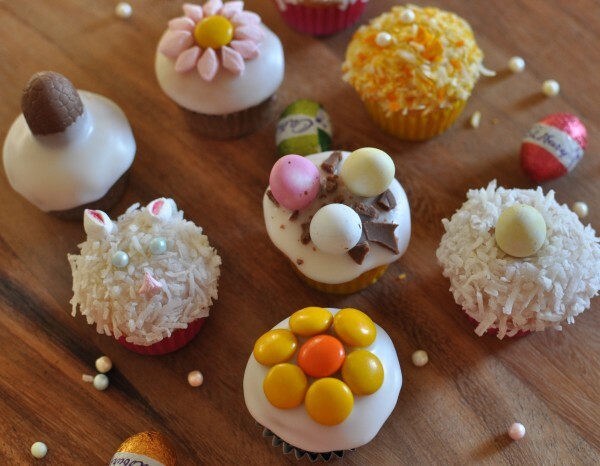 Looking for Easter food inspiration? 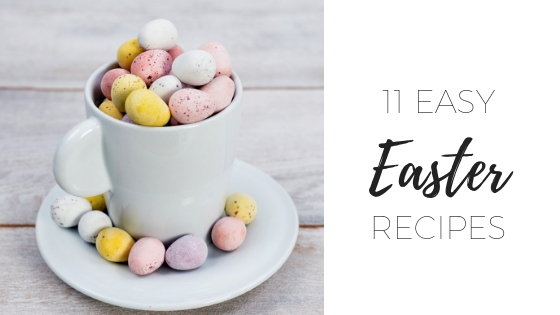 Look no further than 11 easy Easter recipes. Searching for my hot cross buns recipe the other day I realised that I actually have quite a stock of Easter recipes here. To save you the trouble of searching for them all I thought I’d bring them all together. Please excuse some of the earlier photos (at least it shows my progress right?). 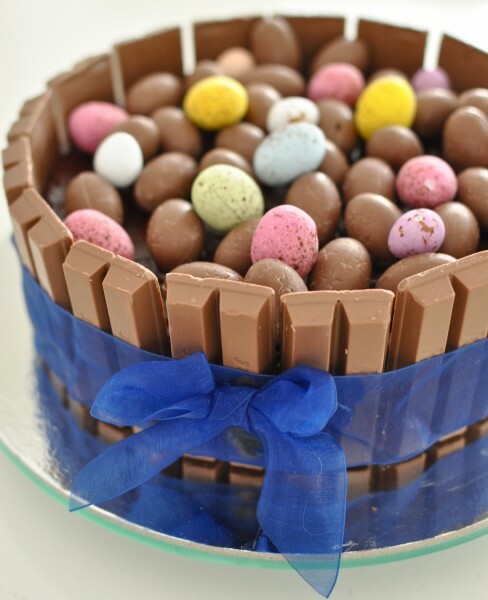 I made this Easter cake 7 years ago now as a gift for one of the nicest men in the world. This man was kind enough to allow us to host our wedding ceremony on his front lawn. He even did the garden and had everything pristine for us. Unfortunately, it rained on our wedding day and we had to move the ceremony but we did get a few shots of the two of us on his lawn. My older son’s first Easter where he actually knew what was going on – I wasn’t keen on him having regular Easter eggs (these days I really don’t mind when it’s just a tiny portion of his diet for a short time). 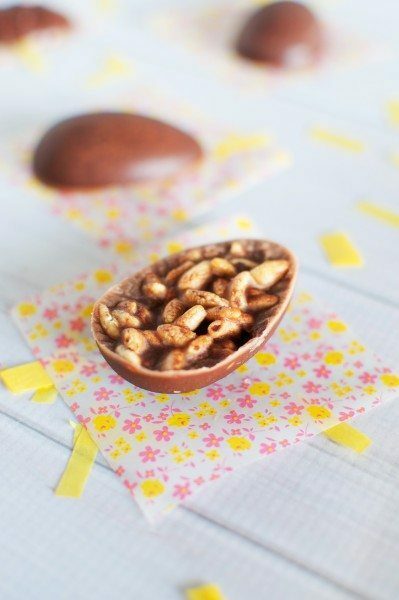 So I made my own healthy chocolate Easter eggs. You can vary the filling with whatever you like. If I made them today there would definitely be peanut butter involved. 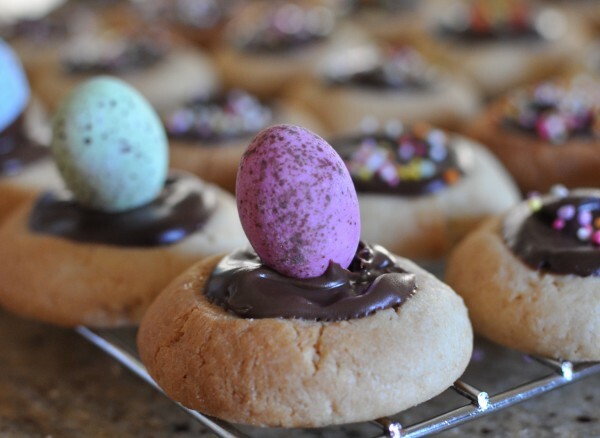 Will and I got on a bit of a roll making thumbprint biscuits one year (pre-kids) and I had a spur of the moment idea to make some filled with chocolate and Easter eggs. 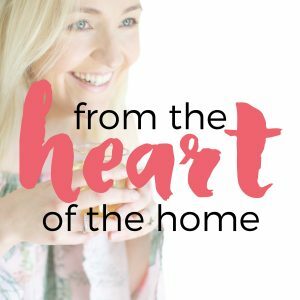 If you’re after a healthier version, try the Paleo Thumbprint recipe. 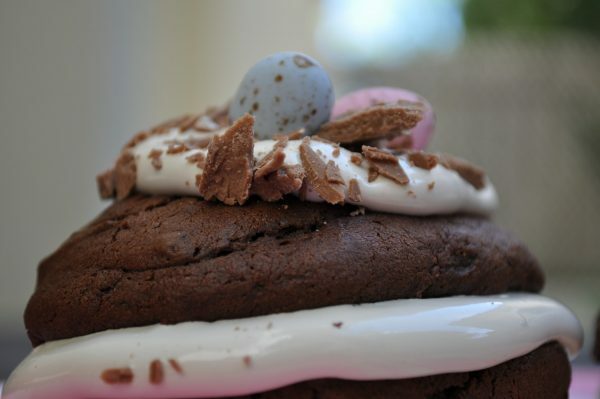 I think Easter whoopie pies were one of the first Easter recipe I made for the blog. They weren’t really around much back then but my whoopie pie obsessed friend insisted I make them. Sure they’re not one bit healthy but I’m all about balance at Easter. I got a little crafty one year (yes again pre-kids) and went to town on some mini cupcakes. It seems that like my bunny bread, my bunny cupcakes are a little bit creepy and not much like bunnies. 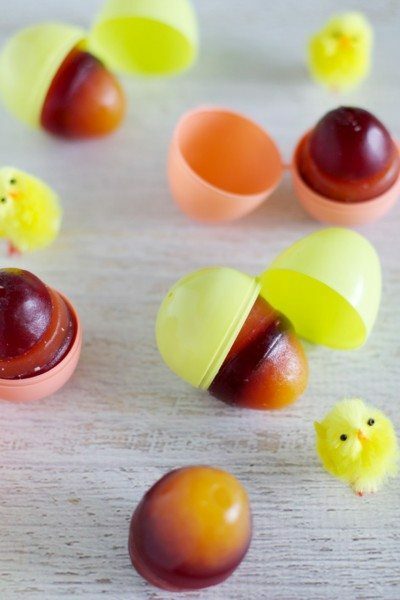 Jelly Easter eggs are another great one to make with the kids and you can make them nice and healthy using freshly-squeeze juice or pureed fruit. They do require some adult assistance though. 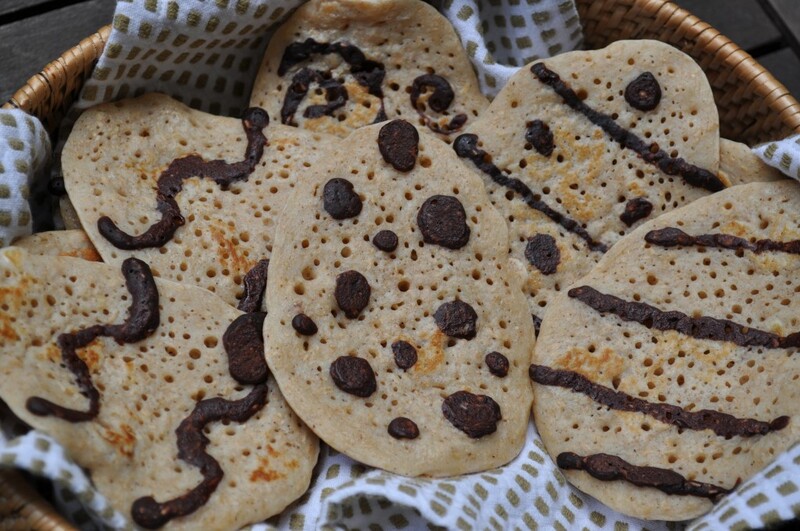 I’m pretty sure the kiddies would love to wake up to Easter egg pancakes on Sunday morning. You don’t have to use my recipe. Just mix some cocoa through a little bit of your favourite batter and pipe it on to the frying pan then scoop the white batter on top. 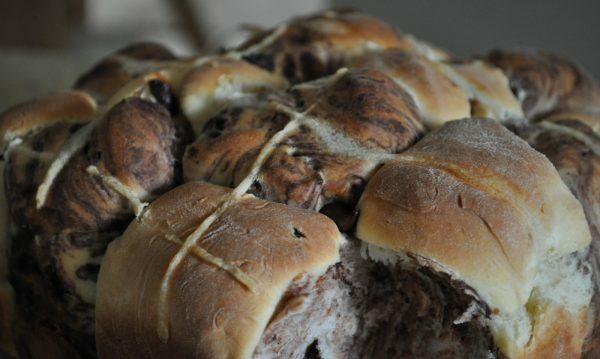 If you can’t decide between chocolate and regular hot cross buns then checkerboard hot cross buns are for you. I have to own up and say that we often buy them these days but homemade are pretty fabulous. 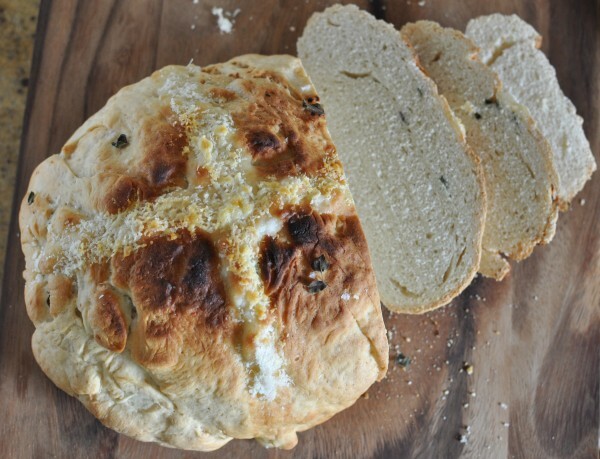 If sweet buns aren’t your thing then skip them all together and bake up a savoury hot cross bun loaf to go with your Easter lunch. Mine got a little burnt on top. That might be because I tried to grill the cheese cross in the oven and it got a little close to the element. Hey I’m not perfect so I won’t pretend to be! I also thought I counted 11 but there are actually only 9. Oops. Sorry! 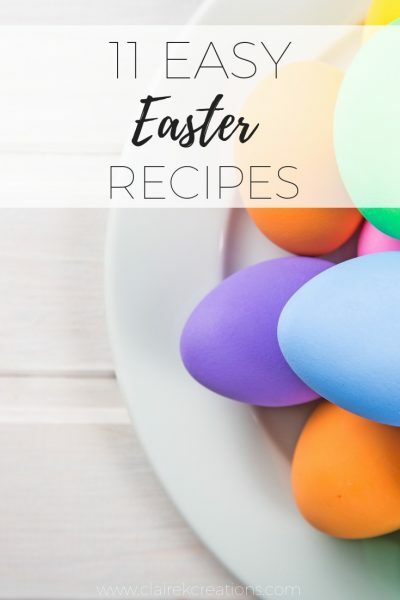 For more ideas, check out my Easter Pinterest board. I hope that has given you some good inspiration for Easter this year. 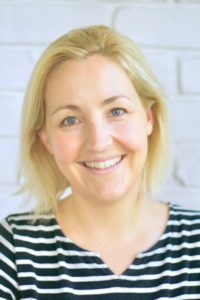 Yummy Claire, I love all your recipes, such great memories of Easters past.